Back in 2008, when I moved into my office at the University of Sheffield, there were three mashed up boxes sitting under the desk. My curiosity got the better of me and I spent the next few hours looking through thousands of slides in hanging folders. 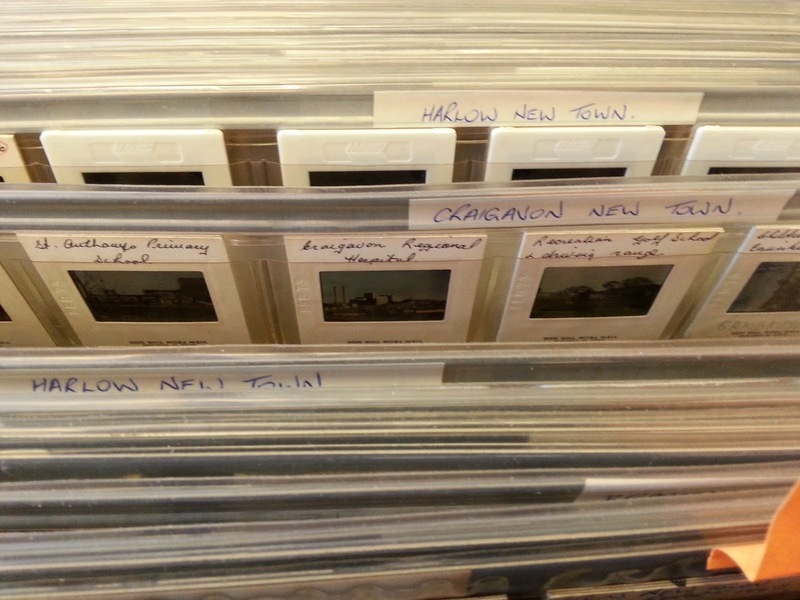 This turned out to be the image archive of Jimmy James, the first Professor of Planning in our Department and former Chief Planner in England. In the summer of 2013, after securing funding from the University of Sheffield Alumni Fund, I was able to hire Joe Carr and Philip Brown (recent graduates) to digitise the entire collection and upload it to our dedicated JR James Archive Flickr site. After more than 2 million views and a year online, the BBC magazine did a piece on the archive, called 'The era of radical concrete' which created huge interest and led to a follow up from residents of the places featured in the images. But one image in particular puzzled us... 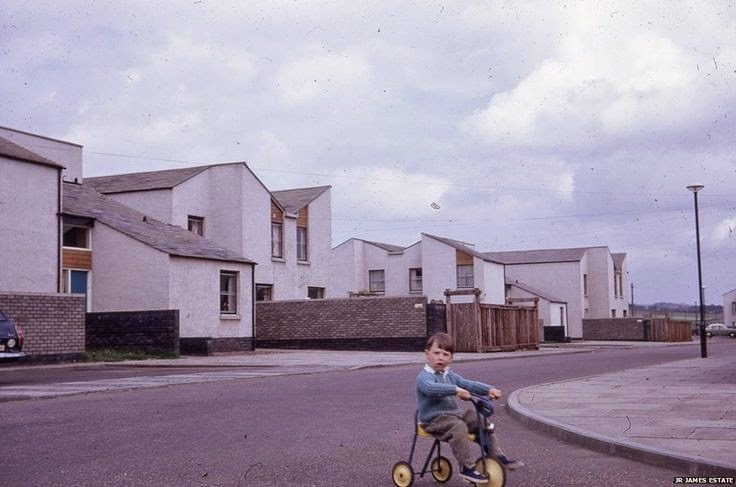 It was simply labelled 'Housing Scotland' (see below for the original slide and the online scanned image) and we just couldn't fine an exact location for it, but we thought it was in the New Town of Cumbernauld, 15 miles or so from Glasgow. Are you the boy? Let us know! These images were used in teaching planners and urbanists for many years but some of them were not in the right place when we found the slides. We did well to track down the location of most images since between me, Philip and Joe we have a pretty good knowledge of most of the UK and we had thought the one above was of Cumbernauld, because that's where it appeared in the archive. 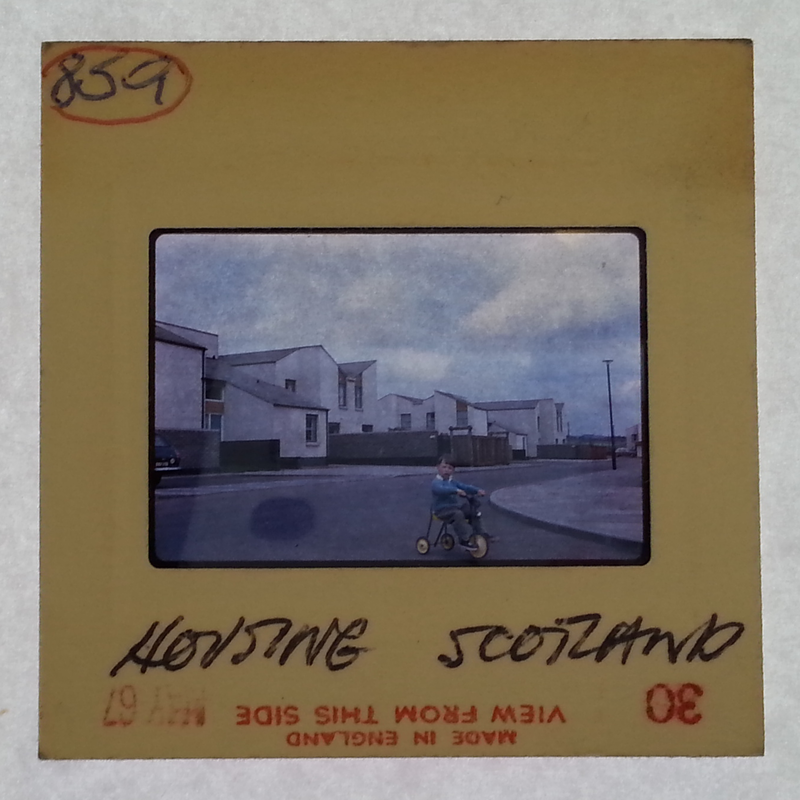 However, our interest was piqued when a commenter on Flickr said it definitely wasn't Cumbernauld. We tried a few times on Twitter, but to no avail. Even @MunicipalDreams couldn't help us. So, I tried one last time yesterday on Twitter and after 17 retweets we had suggestions that it was definitley NOT South Africa (! ), but it might be 'somewhere in Cumbernauld', Falkirk, Dyce, Cwmbran, Killingworth, Peterlee or Saltcoats - among other places. I spent half the night looking round Craigavon, Crawley and Harlow, just to be sure. Nothing. But this is where Twitter and the power of the crowd came to the fore. Actually, I should say this is when the determination of Michael Coates came to the fore, because ... wait for it ... he found where the photo was taken. It is in fact Abbots View in Haddington, East Lothian - as you can see from the embedded Street View image below. I've shown the 2008 Street View here as it is a better match for location and light but this is definitely it. The perspective of the Google cameras is a little different from Jimmy's original lens but it's a clear match so I declare Michael Coates winner of the Internet today and forever, though the Visual Resources Centre at Manchester Metropolitan University also deserve credit for joining the hunt. So, that's one mystery solved. But what about the other mystery? Who is the boy on the bike? By my estimation he'd be about 50 now and if anyone tracks him down we'll really be impressed. In the meantime, if you haven't already looked at the JR James Acrhive, what are you waiting for?